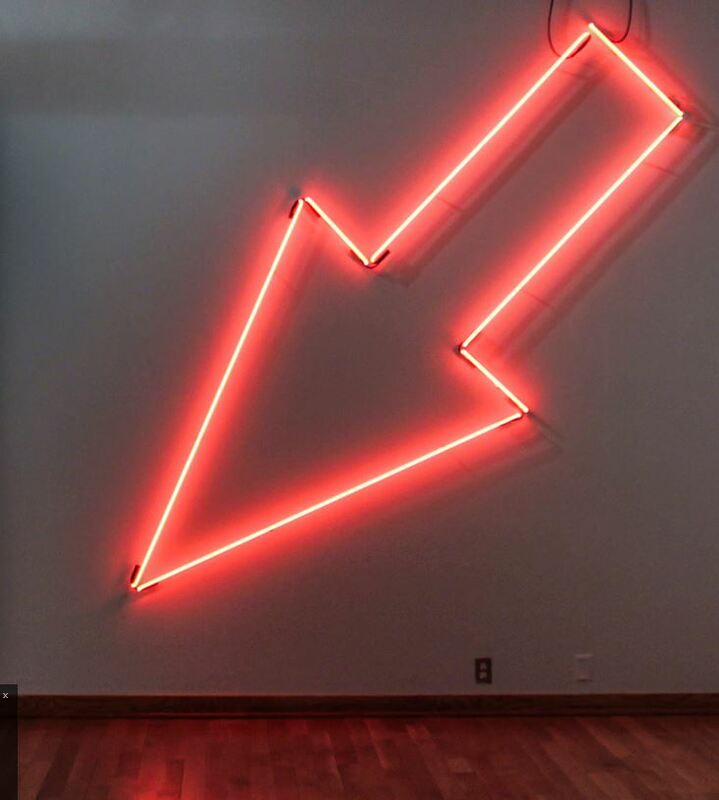 On a false wall in room 2202 in the Art and Sociology building there is a neon arrow that points diagonally downward. This is the work of Hasan Elahi, an interdisciplinary artist and professor at this university who, in part of an ongoing art project, tracks his location online after an unnecessary run-in with the FBI in 2002. He continues to update his whereabouts on his website and the neon green arrow is one of his newer works. The Department of Art Faculty Exhibition celebrated an opening reception Wednesday from 5 to 7 p.m. where artists congregated with students and faculty to discuss their presented works. The artists at the Department of Art Faculty Exhibit are members of the faculty who present their work about once every three years. Patrick Craig, an associate professor who specializes in painting, drawing and mixed media said that the purpose of the exhibition is so undergraduate students have a chance to see faculty work at some point in their career at Maryland. The Assistant Director of the UMD art gallery, Taras Matla, said Craig is known primarily as a painter. 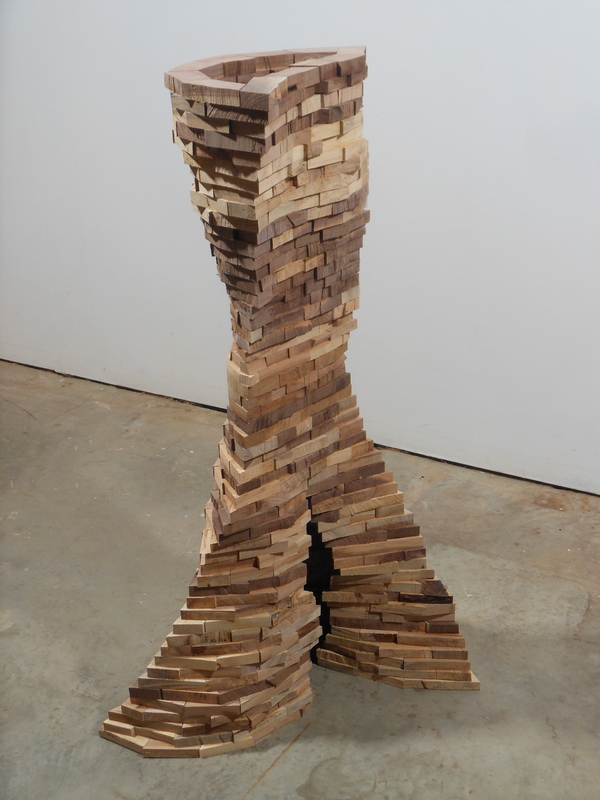 However, Craig has a plastic sculpture entitled Sisters at the exhibition in addition to a painting called Migration. “For him to deviate and to tackle something so new and so outside of his comfort zone, and to come up with something so successful, for me is mind boggling,” Matla said on Craig’s sculpting. Madeline Gent, an art history graduate student and graduate assistant for the art gallery said that one of her favorite pieces at the Faculty Exhibition is an untitled video by Shannon Collis. 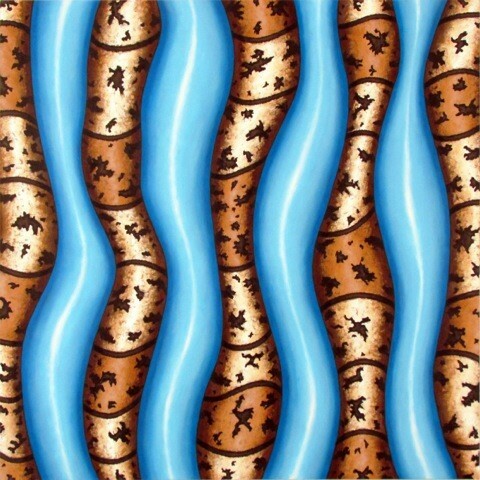 The types of works at the exhibition range from paintings, drawings and sculptures to video works and mixed media. When you first walk into the art gallery, a piece called French Cut Pork Chop by artist Steven Jones grabs your attention. It looks and acts like a kiddie ride that children use for 25 cents in front of supermarkets. Alex Carolan is a sophomore journalism major and can be reached at aaalex.carolan@gmail.com.